The 3rd U.S. Circuit Court of Appeals sitting in Philadelphia must be hoping not to slip up on the appeal being heard in the case between Kangaroo Manufacturing which is now the subject of an injunction issued by a federal trial judge preventing it making a banana costume that seemingly resembled that of costume-maker Rasta Imposta. Kangaroo are arguing that nothing makes the Rasta Imposta costume protectable by copyright as it lacks any distinctive features and resembles - well, a banana. 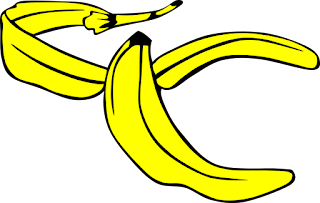 U.S. District Judge Noel Hillman used terms such as “bananafest” and “bananapalooza” at a hearing, and he then issued what the Times termed “a split decision” in favor of Rasta Imposta on two of the issues and in favor of Kangaroo Manufacturing on one. Infowars' Alex Jones, who has been sued by Pepe the Frog artist Matt Furie for allegedly infringing Furie’s copyright on the cartoon frog by putting Pepe on a poster that Infowars was selling, has made a number of defences to his actions in a wide-ranging deposition, comparing his use of Pepe the Frog to artist Andy Warhol's paintings of Campbell’s soup can and saying “[Pepe the Frog] is a symbol of free speech” adding .“There’s now a movement to try to then control and own symbols that have entered the public domain and public use….and so now I see it as basically a tombstone of free speech and fair use in the Western world. So I see it for what it is, from the perspective of the corporate fascists.” Much more on Motherboard here. 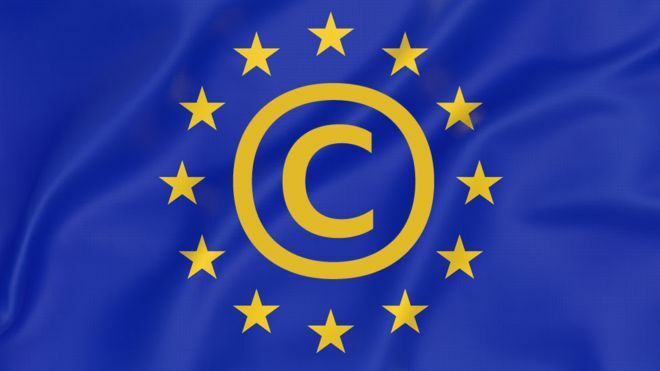 The EU Council has now approved the European Copyright Directive, the last step in the EU legislative process - it is now up to each EU member state to implement the new copyright laws. "It was a long road and we would like to thank everyone who contributed to the discussion" said Helen Smith, head of the pan-European independent record label group IMPALA. "As a result, we now have a balanced text that sets a precedent for the rest of the world to follow, by putting citizens and creators at the heart of the reform and introducing clear rules for online platforms". A video in support of Donald Trump's 2020 re-election campaign has been removed from Twitter . 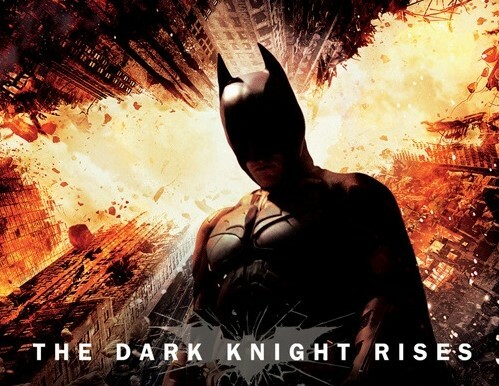 The video uses music from the Warner Bros Batman film 'The Dark Knight Rises' and in a statement Warner Bros. confirmed it was taking action over the video: "The use of Warner Bros.’ score from The Dark Knight Rises in the campaign video was unauthorized," a spokesperson said. "We are working through the appropriate legal channels to have it removed.” The video in Trump's tweet had been replaced by a message that it was no longer available "in response to a report by the copyright owner." And finally, Chinese authorities have suspended country's largest stock images provider's website after it was found to have put its copyright mark on the first ever photo taken of a black hole. China Daily reported that Visual China Group (VCG) had published the black hole photo with a watermark to indicate ownership and that a fee was payable for use. The cyberspace affairs authority in Tianjin (North) to suspend its website. The incident led to the Chinese National Copyright Administration to say that it would launch a campaign to regulate the image copyright market, noting that firms should set up mechanisms to uphold copyright as per legal requirements, here that image from the Event Horizon Telescope was available for use where it was properly attributed, a position commonly taken by the European Southern Observatory and the National Aeronautics and Space Administration (NASA). The black hole measures 40 billion km across - three million times the size of the Earth - and has been described by scientists as "a monster". It is 500 million trillion km away. 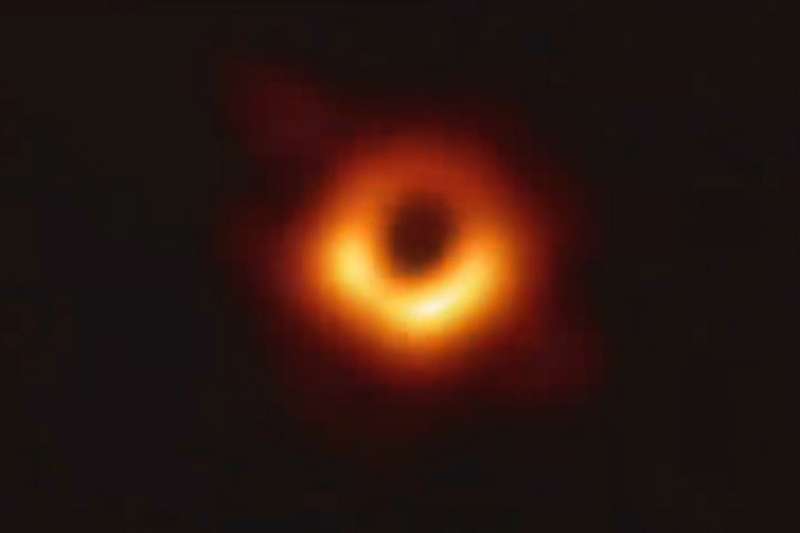 And we are delighted to say this image is from the Event Horizon Telescope (EHT), a network of eight linked telescopes. The Horizon Comics Productions v. Marvel Entertainment suit (Southern District of New York, 16-cv-2499) is still pending. Ben and Ray Lai are two brothers who own Horizon Comics Productions and created the comic book series Radix in 2001. Only a few books were published in 2001 and 2002. Radix featured characters wearing “highly-detailed, futuristic, armored, and weaponized suits of body armor to fight enemies” (original complaint). Marvel created the Avengers series, of which Iron Man is one of the superheroes. The character gets his superpowers from a powered armored suit. Uh-oh, two power suits (not the eighties type with the big shoulder pads, the armored and weaponized type). Marvel’s Iron Man character first appeared in 1963, but he did not have armor then. Plaintiffs alleged that he first wore a “spandex-like attire and minimal armor” and then wore a “fully mechanized suit of body armor” in the Marvel movies, and that this change occurred after Plaintiffs had submitted the Radix art to Defendants and were hired by Marvel as freelance artists. Robert Downey Junior (RDJ) played Iron Man in several of Marvel’s movies. Iron Man 3 is at stake in this case, or rather, the promotional poster of the movie, which shows RDJ crouching in costume, the left knee on the floor, the right leg bended, the left hand on the floor, the right hand closed in a fist. 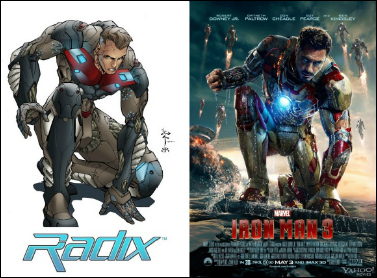 Plaintiffs claimed that the armored suit worn by Iron Man in the Iron Man and Avengers film was based on a suit worn by the hero of Radix and that the promotional poster copied a particular promotional piece for Radix (the Caliban Drawing). Marvel had moved to dismiss claiming that elements of Plaintiff’s works which had allegedly been copied were not protectable as a matter of law and were not, in any event, substantially similar to Defendants’ works. In March 2017, Judge Paul Oetken granted the motion as to the armored suit’s claim, but allowed the complaint about the promotional posters to move forward. Defendant recently filed a memorandum of law in support of its motion for summary judgment. 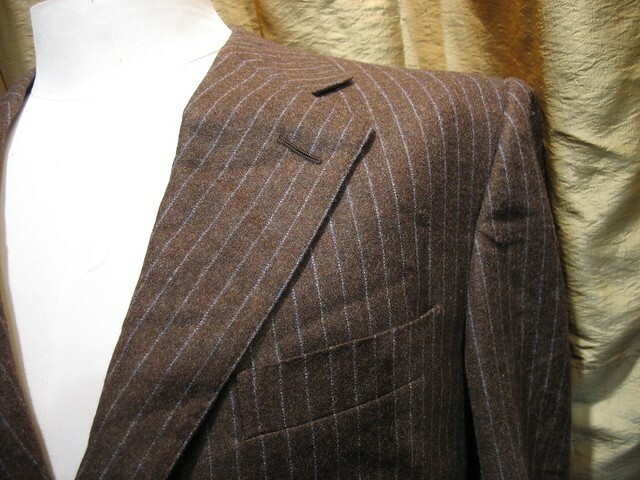 Parties in a copyright infringement suit sometimes struggle to prove how a particular work has been created. However, it is essential to be able to prove that the allegedly infringing work has been independently created. This is why Marvel’s memorandum of law is particularly interesting to read. A plaintiff claiming copyright infringement must show that the defendant copied his work. If there is no direct evidence of actual copying, he must show access and probative similarity. Marvel claims that that it hadn’t access to the Caliban Drawing. Plaintiffs claim that Ray Lai had provided his business card to several persons which listed a web site address where the Caliban Drawing could be found, and that the drawing was hung on a wall at a comic book convention in 2001. Marvel denied it had access, as there was no evidence that anyone involved in the creation of the Iron Man 3 poster was at the comic book convention where the drawing was allegedly featured. They further argued that the mere fact that the drawing was allegedly featured on Plaintiff’s website is not sufficient evidence, as “the existence of the plaintiff’s copyrighted materials on the Internet, even on a public and ‘user-friendly’ site, cannot by itself justify an inference that defendant accessed those materials.” Defendant noted that Plaintiff’s website had ceased to operate in 2003, which made it improbable that anyone involved in the making of the poster, even if they had indeed visited the site, would have saved a copy of the Caliban Drawing found on the site and then used it years later to create the Iron Man 3 promotional poster. It is Marvel’s description of the independent creation of the Iron Man 3 Poster which is particularly interesting to read. Even if a plaintiff provides evidence supporting a prima facie case of infringement, defendant can still prevail if can prove that he independently created the work. Disney and Marvel had retained the service of a third party to create the poster. He testified he had never see the Caliban Drawing, but described his creative process. He reviewed the Iron Man 3 script then developed inspiration boards using images from prior Iron Man movies and comics. 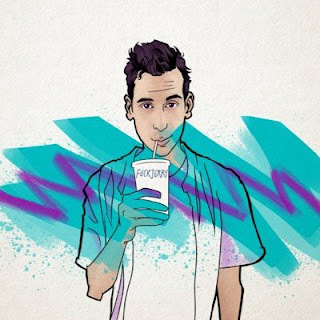 He and his team then made black and white sketches, which were used as an inspiration for RDJ during a photo shoot. Hundreds of photos were taken during the shoot. One of them shows the actor in the pose which was later chosen for the Iron Man 3 promotional poster. RDJ is shown looking down at the black and white sketches while posing. Defendants further explained that before the poster was finalized, the creative team had provided Marvel with “callout” documents “identifying, by source and serial number, every photographic and artistic element depicted in the Iron Man 3 poster, so that Marvel Studios’ legal team could “clear” any license rights needed for those materials.” Defendants argued that “the photos used for Iron Man’s head, shoulders, arms and fist” were all taken during the RDJ shoot. Defendant concludes by stating that “[t]he claim that they would copy a drawing made some 10 years earlier by unknown artists, to promote an unheard-of comic book, depicting an anonymous character wearing a generic armored suit in a stock fighting pose is, candidly, ludicrous.” [Ouch]. 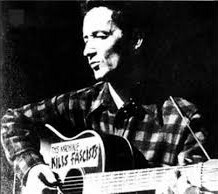 A federal judge in Manhattan has refused to dismiss a lawsuit claiming that Woody Guthrie's classic 1940 folk song "This Land is Your Land" belongs to the public. Guthrie, then 27, wrote "This Land," in reaction to Irving Berlin's 1918 war time song "God Bless America" which he thought glossed over wealth and land inequality in the country. U.S. District Judge Deborah Batts said members of Satorii, a New York band that recorded two versions of "This Land" could pursue federal copyright claims against two publishers who say they control rights to the song - Ludlow Music and The Richmond Organization. Readers will remember that "We Shall Overcome" and "Happy Birthday to You" have already returned to the public domain. Satorii said the "This Land" melody was "substantially identical" to a Baptist gospel hymn from around the start of the 20th century, known by such titles as "Fire Song." It also said any copyright to "This Land" was forfeited several decades ago. The case is Saint-Amour et al v The Richmond Organization Inc et al, U.S. District Court, Southern District of New York, No. 16-04464. Ten members of the European Parliament (MEPs) have said they voted against a crucial amendment to the EU's Copyright Directive by accident, and that if they had got their votes right it would have let MEPs take a further vote on the inclusion of Articles 11 and 13, the most controversial parts of the law (and named by the tech sector as the “link tax” and “upload filter”). That vote was lost by just five votes but official voting records published by the EU show that 13 MEPs have declared they accidentally voted the wrong way on this amendment. According to the record, ten MEPs say they accidentally rejected the amendment when they meant to approve it, two MEPs accidentally approved the amendment, and one MEP says he intended not to vote at all on that matter. If these MEPs had voted as they said they meant to, the amendment would have been approved by a small majority, prompting further votes on whether the law would include Articles 11 and 13 (renamed articles 15 and 17 in the final draft). Whilst no one knows how that might have gone, it makes no difference now of course as the final vote has passed and stands, with a clear majority 348 MEPs voting in favor of the new reforms, and 274 against. YouTube 'creators' and the tech sector are now starting to re-voice concerns, and no doubt will continue lobbying, with one creator saying they will be forced to block content from being seen in Europe, and one of the most vocal activists leading a charge against the Directive, Dr. Grandayy, says it’s time for YouTubers to get serious about copyright activism. And Poland's right-wing government has hinted that they may not fully implement the European Union's new copyright reform, saying it stifles freedom of speech. Ruling party leader Jaroslaw Kaczynski said Saturday that a copyright directive adopted by EU lawmakers this week threatens freedom. Of course the bloc's nations have two years to incorporate it into their legal systems. Without elaborating, Kaczynski said the Law and Justice party will implement it "in a way that will preserve freedom." Vodafone in Germany has blocked access to a popular platform where users share links to infringing content after a complaint from music collecting society GEMA, but seemingly without GEMA securing an injunction to mandate the block. the German division of Vodafone has now blocked Boerse telling Torrentfreak "On the basis of a notification from GEMA, we have set up a DNS blockade for the 'boerse.to' domain. The blockade affects Vodafone GmbH's fixed and mobile network" citing recent precedents in the German courts regarding the responsibilities and liabilities of internet companies saying "GEMA has officially sent us a notification and we have set up the DNS blockade in order to avoid a legal dispute in accordance with the principles established by the Federal Court Of Justice". adding that whilst it was "critical of these blocking requests" it would nevertheless comply with its legal obligations. The site is still accessible via other ISPs in Germany. A fascinating article on Above the Law - In Your Face: How Facial Recognition Databases See Copyright Law But Not Your Privacy - and Tom Kulik, an Intellectual Property & Information Technology Partner at the Dallas based law firm of Scheef & Stone, LLP says "Like many legal issues involving evolving technology, there is more here than meets the eye". Well worth a read! Image by Mike Mackenzie via www.vpnsrus.com. And finally, Lexology reports that the latest (and unanimous) US Supreme Court decision in Rimini Street, Inc. v. Oracle USA, Inc., holds that 17 U.S.C. § 505’s award of “full costs” is limited to the specific categories of costs defined in 28 U.S.C. §§ 1821 and 1920, which exclude expert witness fees, e-discovery expenses and jury consultant fees. “A statute awarding ‘costs’ will not be construed as authorizing an award of litigation expenses beyond the six categories listed in §§ 1821 and 1920, absent an explicit statutory instruction to that effect.” This decision effectively limits the costs recoverable by a successful litigant as a matter of course in copyright litigation and in “exceptional” trademark and patent cases. More here. with artists from Ed Sheeran, Coldplay, Madonna to Led Zeppelin. The latest to be "signed" by the multi-billion dollar company, is an algorithm. 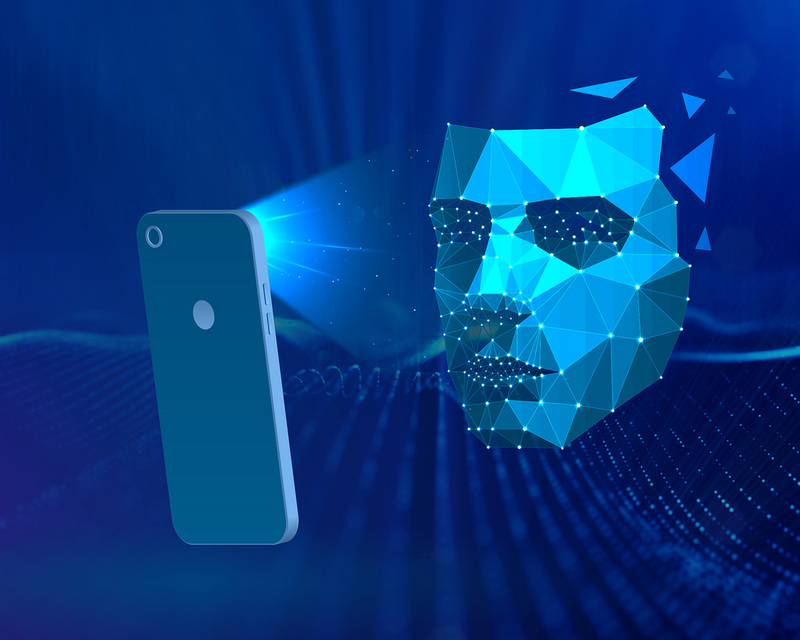 location, and biometric details such as heart rate. to the contract with Warner, as such. throughout 2019 with Warner Music. music has created distribution deals. 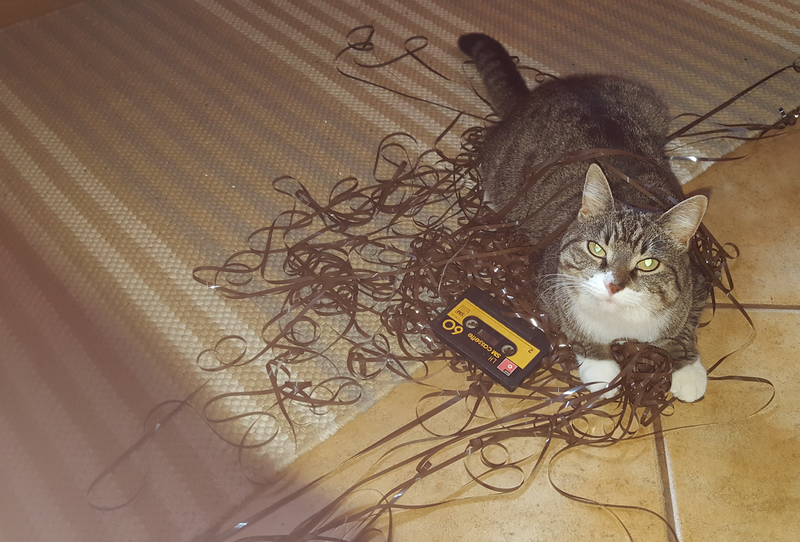 obviously creating the AI - also had to, input sounds and data into Endel. on different combinations of inputs" rather than created. of the "inputs" on the basis that this is the personality being expressed. 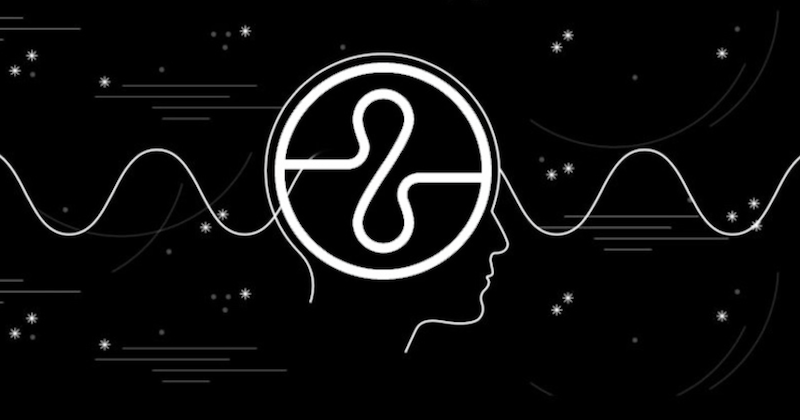 Endel: "Personalized sounds to help you focus and relax"
how to write a song." machine that doesn't require as much human effort? a licence? Who would be liable if Endel created an infringing piece of music? that the time is ripe to be discussing such issues! Proposals to delete Article 13 were not put to a vote. Pirate Party MEP Julia Reda tweeted that voting on individual amendments were rejected by a majority of just 5 votes, before tweeting "Dark day for internet freedom: The @Europarl_EN has rubber-stamped copyright reform including #Article13 and #Article11. MEPs refused to even consider amendments. The results of the final vote: 348 in favor, 274 against". The text now needs a formal approval by European ministers but is one major step closer to officially becoming law. It will then have to be transposed into national legislation by EU countries. The fallout from the BMG v Cox case in the USA continues, with a court denying ISP Grande Communications the benefit of safe harbour protection in a case brought by the Recording Industry Association Of America (RIAA). In the earlier case, BMG had accused ISP Cox Communications of running a deliberately ineffective system for dealing with repeat infringers, At first instance the jury awarded $25 million against Cox when they found the broadband carrier liable for piracy by its subscribers. The US appellate court reversed that verdict in what might have been seen as a defeat for the record label - but many said at the time that a careful look at the judgment, decided on a technicality, was actually a win in the battle against piracy. The 4th Circuit took a long hard look at how and why Cox would be protected by US "safe harbor" provisions that protect service providers from liability when users infringe copyright. - and here the Court ruled against Cox on a key point. 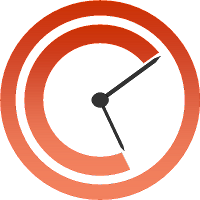 The DMCA provides a degree of protection to ISPs and other platforms that respond expeditiously to takedown requests. 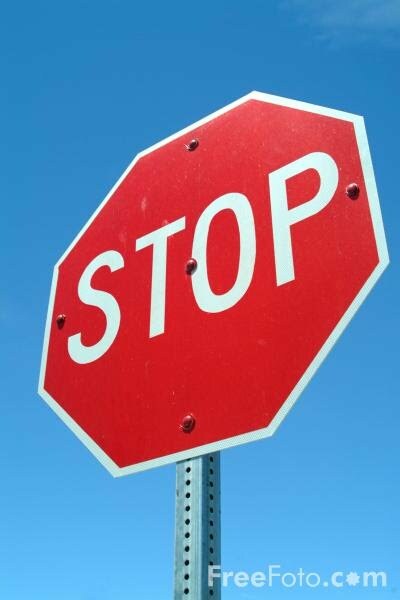 But one of the requirements is that the ISP and other intermediaries to have "adopted and reasonably implemented … a policy that provides for the termination in appropriate circumstances of subscribers … who are repeat infringers." The appeals court said that as it stood, Cox wasn't entitled to rely on safe harbor because it did very little if anything even when told about repeat offenders - an important precedent. 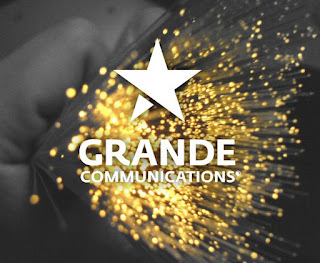 Grande had been accused of operating a similarly ineffective system for dealing with infringers and infringement, and the RIAA pursued the ISP arguing that Grande should be liable for its users' infringement. 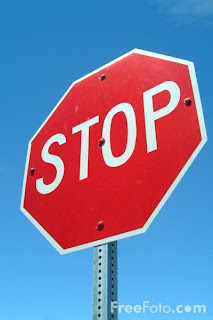 Now a US Court has agreed with that position in a summary judgement that quotes BMG v Cox and affirms that those seeking safe harbour protection in the US must "reasonably implement" a policy for disconnecting repeat infringers or they will lose safe harbour protection in circumstances where the "ISP has not 'reasonably implemented' a repeat infringer policy if the ISP fails to enforce the terms of its policy in any meaningful fashion". The new decision noted the December Magistrate Judge's opinion in this case, which concluded that the "undisputed evidence shows that though Grande may have adopted a policy permitting it to terminate a customer's internet access for repeat infringement, Grande affirmatively decided in 2010 that it would not enforce the policy at all, and that it would not terminate any customer's account regardless of how many notices of infringement that customer accumulated, regardless of the source of the notices, and regardless of the content of a notice". The court agreed, saying Grande's systems were even worse that Cox's: "Grande thus did even less than Cox to 'reasonably implement' the kind of policy required for the protections of ... safe harbour ..... if lax enforcement and frequent circumvention of existent procedures disqualifies a defendant from the safe harbour's protections, the complete nonexistence of such procedures surely must do likewise"
A federal appeals court has partially sided with real estate giant Zillow in important decision involving the long-running copyright battle with photography company VHT over how property photos can be used online. The 9th U.S. Circuit Court of Appeals ruled that Zillow did not willfully infringe on copyrights for 28,000 real estate photos for its home improvement section, now known as Zillow Porchlight in a turnaround in the case from when Zillow lost a jury trial in 2017 and was ordered to pay $8.3 million in damages to VHT. U.S. District Judge James L. Robart had already reviewed the Seattle jury's decision and had ruled that “the jury had no rational basis on which to conclude” that 22,109 of those photos violated VHT’s copyright and reduced the damages award down to a little over $4 million. However Judge Robart upheld a piece of the original verdict that held Zillow liable for willfully infringing on 2,700 photographs, a key victory for VHT and the basis for keeping the damages at around $4 million: the appeals court also sided with VHT when it maintained the prior ruling that several thousand tagged, searchable photos displayed on Zillow did not constitute a “fair use” but criticised VHT's methods of dealing with the infringements before filing their suit. 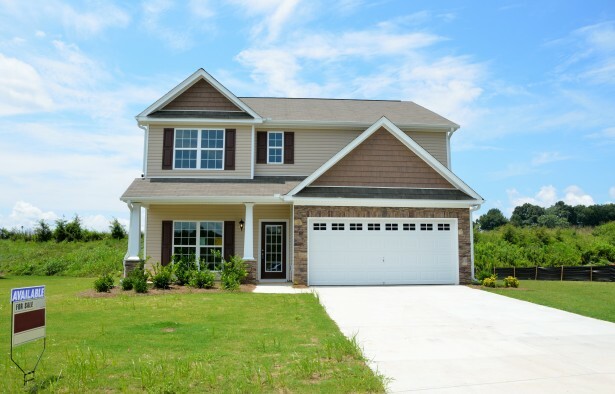 “We are pleased with the results of this appeal,” Zillow said in a statement. “We take copyright protection and enforcement seriously and will continue to respect copyright permissions across our platforms.” One final consideration is whether the infringing use is as a 'compilation' - so one infringement - or multiple infringements of each image used with the appellate court saying: “If the VHT photo database is a ‘compilation,’ and therefore one ‘work’ for the purposes of the Copyright Act, then VHT would be limited to a single award of statutory damages for Zillow’s use of thousands of photos on Digs. But if the database is not a compilation, then VHT could seek damages for each photo that Zillow used. The EU Parliament will vote next Tuesday (March 26th) on whether to endorse an overhaul of the EU’s two-decade old copyright rules as Google and internet activists stepped up their criticism of a requirement to install copyright filters. Websites and businesses across Europe are protesting controversial changes to online copyright being introduced by the European Union. Ahead of a final vote a number of European Wikipedia sites are going dark for a day, blocking all access and directing users to contact their local EU representative to protest the laws. 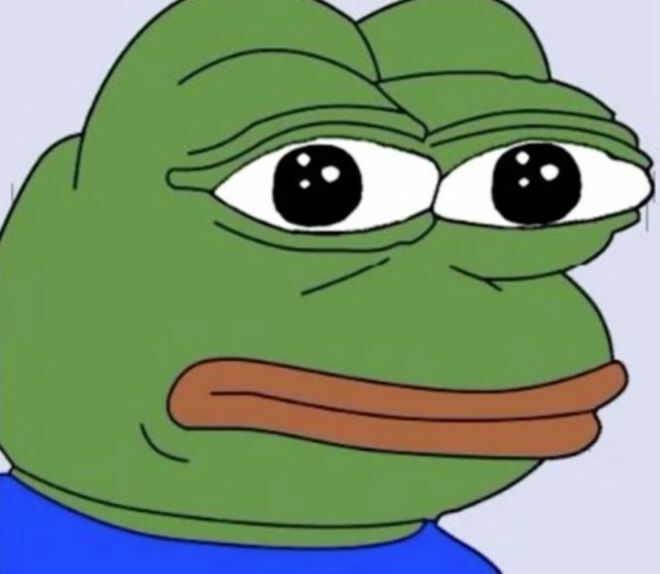 Other major sites, such as Twitch and PornHub, are showing protest banners on their homepages and social media. Meanwhile, any users uploading content to Reddit will be shown a #saveyourinternet message. The US ratification of the Marrakesh Treaty: what has changed? 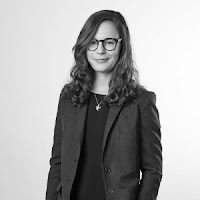 The 1709 Blog is delighted to host the following contribution by Juliette Guillemot Bell on the recent US ratification of the Marrakesh Treaty. “On February 8, 2019, the U.S. Marrakesh VIP Treaty ratification document was formally deposited at the World Intellectual Property Organization (WIPO). The ratification of the Marrakesh VIP Treaty by the U.S. brings the number of contracting parties to 50 and, as of May 8, 2019 [date of entry into force in the U.S.], this Treaty will be effectively implemented in 78 countries (including the 28 member countries of the European Union). The Marrakesh Treaty to Facilitate Access to Published Works for Persons Who Are Blind, Visually Impaired, or Otherwise Print Disabled (aka the “Marrakesh VIP Treaty”) was signed on June 27, 2013 under the auspices of WIPO and became effective on September 30, 2016. This Treaty establishes exceptions to national copyright laws for the reproduction, distribution, and making available of published works in formats accessible to persons who are blind, visually impaired, or have other print disabilities (such as braille, e-text, audio or large print). It also permits the cross-border sharing of these formats. Before the Marrakesh VIP Treaty was signed, the U.S. already had mechanisms in place to make copyrighted works available to persons with print disabilities in specialized formats. Indeed, in 1931, the Library of Congress’s National Library Service for the Blind and Physically Handicapped (NLS) began administering a program for the reproduction and distribution of copyrighted works in specialized formats on a royalty-free basis. However, because the success of this program was dependent on copyright holders granting permission to reproduce their works, in 1996, the Chafee amendment to the U.S. Copyright Act was adopted. This amendment established a limitation on the exclusive rights in copyrighted works by allowing certain entities to provide published works in specialized formats to persons with print disabilities (17 U.S. Code § 121). The Marrakesh Treaty Implementation Act (MTIA), signed into law on October 10, 2018, aligned U.S. copyright law with the requirements of the Marrakesh VIP Treaty by (1) broadening the scope of section 121 of the Copyright Act, and (2) creating a new section – 121A – to address the cross-border aspects of the Treaty. Section 121 no longer refers to “blind or other persons with disabilities” but to “eligible persons,” i.e. individuals who are blind, have a visual impairment or perceptual or reading disability, or have a physical disability that prevents them from reading normally (for example, a physical disability preventing a person from holding and manipulating a book). It is worth noting, as clarified by the MTIA, that section 121 only provides limitations on exclusive rights for activities taking place in the U.S. and that the cross-border aspects of the Marrakesh VIP Treaty are dealt with under section 121A (see below). It is also worth noting that the U.S. did not confine the application of section 121 to copyrighted works that cannot be "obtained commercially under reasonable terms for beneficiary persons in that market," as allowed by the Treaty [Canada, on the other hand, has opted to use this possibility], and did not make the limitations on exclusive rights under section 121 subject to remuneration (also allowed by the Treaty). Section 121A addresses the cross-border aspects of the Marrakesh VIP Treaty by allowing the exportation and importation of copyrighted works in accessible formats between the U.S. and other countries who have signed the Marrakesh VIP Treaty. Authorized entities may export copies of copyrighted works (as defined under section 121) in accessible formats to either (a) another authorized entity in a country that is a party to the Marrakesh VIP Treaty, or (b) an eligible person in such a country, provided that the exporting entities do not know or have reasonable grounds to know that the copies will be used other than by eligible persons. In addition, authorized entities, eligible persons, and agents of eligible persons may import copies of copyrighted works in accessible formats. Make publicly available the titles of works for which they have accessible format copies (and the formats in which they are available), as well as information on their policies, practices, and authorized entity partners. The ratification of the Marrakesh VIP Treaty by the U.S. marks an important milestone in addressing the 'global book famine,' referring to the fact that over 90% of all published materials cannot be read by persons with print disabilities. According to WIPO Director General Francis Gurry “The U.S. already houses the world’s largest repository of accessible English-language material, representing a major increase in the global resource base for visually impaired people living in countries that have joined the Marrakesh Treaty."" 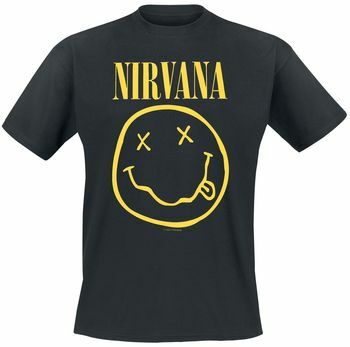 In December 2018 there were a number if press reports that detailed that legal representatives for the grunge band Nirvana were suing fashion brand Marc Jacobs for copyright infringement, primarily for using an iconic wobbly yellow and black smiley face design. The brand recently released the Bootleg Grunge T-shirt and sweatshirt as a part of its overall ' Redux Grunge' grunge-inspired collection and seemingly acknowledges the 'inspiration' for the T-shirt the tee with reference to a reissued design from 1993 initially created by Perry Ellis. At the time of those reports The t-shirt and sweatshirt are still being sold on Marc Jacob’s website and across retailers. 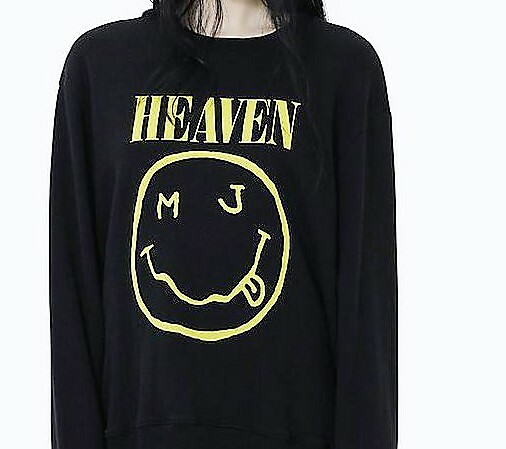 Now Marc Jacobs is seeking to have the copyright infringement case dismissed; Jacobs questions whether Nirvana LLC even owns the copyright in the happy face illustration that was created by Kurt Cobain. It then argues that - while its happy face t-shirts are clearly influenced by the iconic Nirvana merchandise, the imagery on its garments is sufficiently different to not constitute copyright infringement. Jacob's also notes that its products don't include the text "flower-sniffin, kitty-pettin, baby-kissin corporate rock whores" which was on the back of the band's original shirts. And where the Nirvana t-shirts bore the band's name, Jacobs' say 'Heaven', albeit in a very similar font. "[The original image filed with the US Copyright Office] includes the word 'Nirvana'. The accused products do not. The [registration] includes the 'flower sniffin' writing. The accused products do not. The [registration] includes a smiley face with Xs as eyes. The accused products do not; they use a different letter for each eye, the letters M and J, signifying Marc Jacobs". So the Marc Jacobs defence appears to be that whilst their T-shirts are 'Nirvana-esque' - they are not copies: Inspiration, not appropriation. The designer’s motion for dismissal acknowledges the designs as “inspired by vintage Nirvana concert T-shirts from the 1990s,” but also contests that he “reinterpreted the design to incorporate [a Marc Jacobs] branding element into an otherwise commonplace image”. "The only similarity between what is covered by the [registration] and the artwork contained on the accused products ..... is the use of a substantially circular outline for the smiley face and a squiggly line used for a mouth, with a tongue sticking out". Lawyers for Jacobs also stress that, not only was it Cobain who actually created the original image, but that his widow and daughter approved of the fashion firm's creation. It says: "As friends of the brand, Ms [Courtney] Love and Ms [Frances Bean] Cobain helped celebrate the release of the collection".